Design attention-grabbing exhibit graphics that communicate multiple services. City managers of mid-sized cities nationwide. Cedarock provided graphic design, copywriting, and images for this 10' portable display. 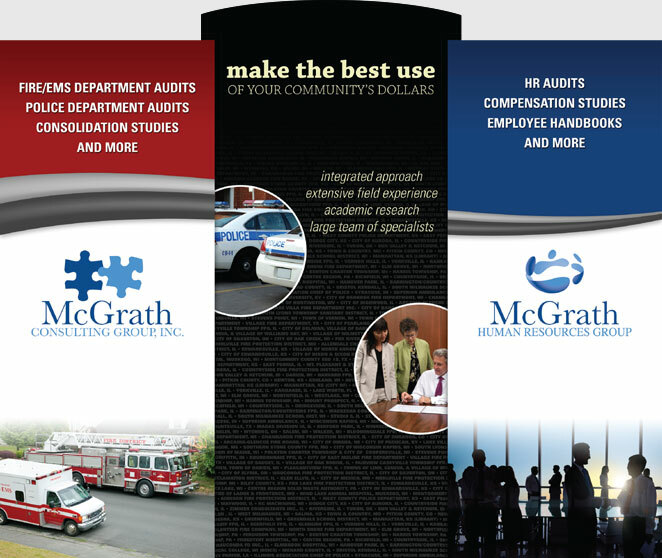 Design and branding are consistent with existing website and print collateral materials.